LA Choprods is pleased to welcome to the market the new ISR 6 Piston Sprocket Brake. This state of the art caliper is designed with six separate pockets each with its own pad. With the extra four pads you gain tremendous stopping power while maintaining a light weight set up. Comes complete with brake pads, all necessary fittings and an adjustable anchor arm. Fits left or right side drive and 3/4″ (with included adapter) or 1″ Axles. 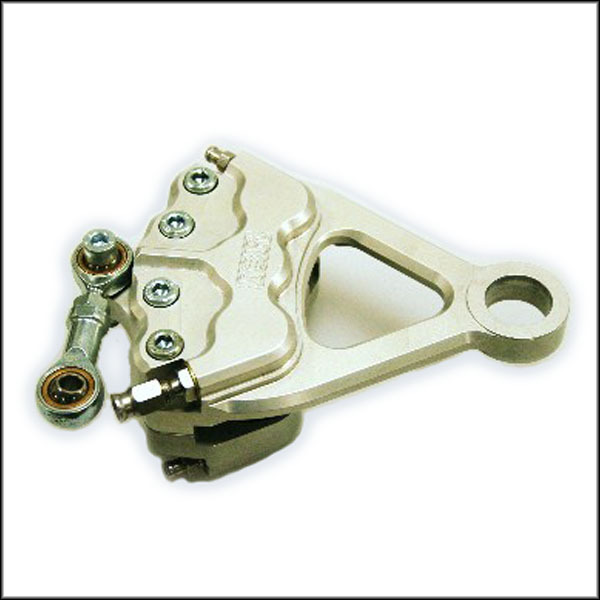 All ISR Brake Components use ONLY DOT 4 brake fluid.